The new WARN PowerPlant 9.5 combines a powerful winch with a high-performance air compressor for the ultimate vehicle-mounted multi tool. The PowerPlant 9.5 has a pulling capacity of 9,500 lbs. and is equipped with a powerful air compressor that can air up four 35" tires in eight minutes and even run air tools. With new additions such as stainless steel fasteners, a new pressure switch, a revised contactor, and a new hose and accessories, the PowerPlant is better than ever. The winch includes a series-wound motor with thermal protection shutoff switch, stainless steel fasteners for exceptional corrosion protection and a pressure switch limits maximum/minimum air pressure in reservoir. The hand-held control for operation of both winch and compressor includes an LED that provides feedback on motor temperature. 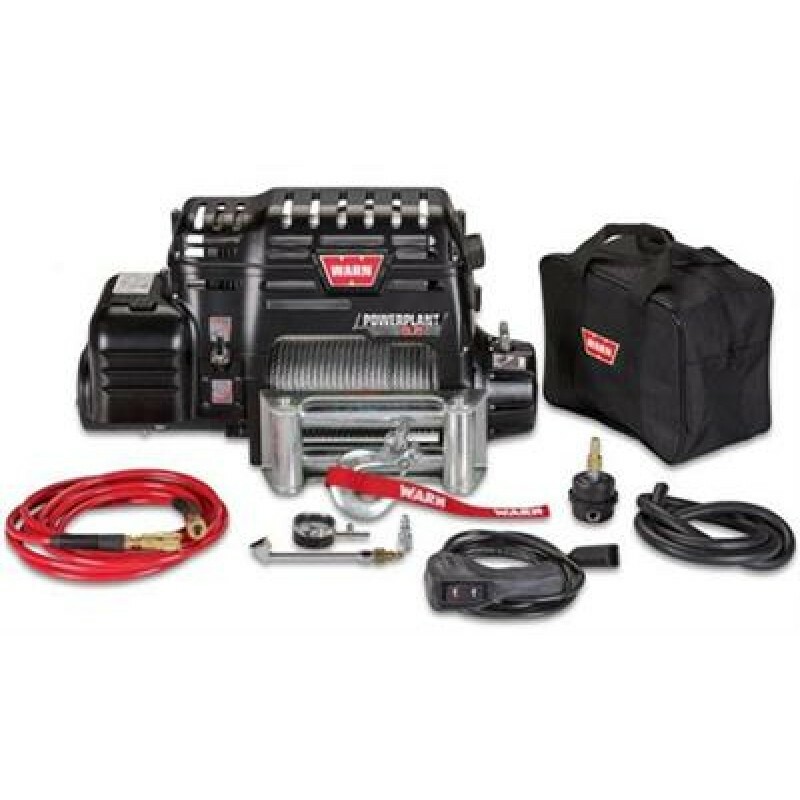 The high-output air compressor delivers 5 CFM @ 90 PSI; maximum air pressure is 100 PSI.